Sure the Help! I’ve fallen and I can’t get up! line from that 80’s commercial became a comic tagline for the ages. But should you take a serious fall, premises liability is no laughing matter. In today’s blog post we discuss 10 critical steps one should take immediately following slip and fall accidents. Not only are slip and fall accidents serious, they can be deadly, especially when they happen to older people. According to the National Floor Safety Institute, slip and fall accidents are the number-one cause of injury-related death for people over the age of 85, and number two for people ages 60 to 84. And annually, uneven surfaces, spilled oil and other notoriously slick substances send more than 8 million people to the emergency room each year. With that many people slipping and falling, it’s inevitable that some of these spills happen on public property. When that happens, you don’t just have an injury on your hands–you may have a potential lawsuit. 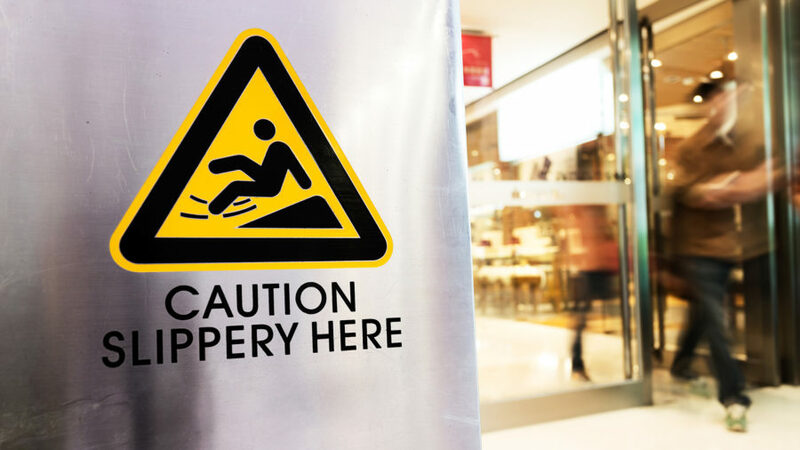 What do you need to know before pursuing a slip and fall case? A lot– so let’s get into it. After you’ve taken a spill, you’re in pain, confused and upset. Going into Sherlock Holmes mode is probably the last thing on your mind. But if you’re going to gather crucial evidence that can make or break your case, now is the time. Talk to any and all bystanders and get their contact information. Ask them what they witnessed. Take photos of the scene. Witness accounts and photography are often the evidence that can make or break your case. So ask bystanders if they noticed how long the spill was on the ground, whether a deck appeared faulty, etc., and check complaint logs. The longer the unsafe situation persisted, the likelier it is that the store owners (or landowner, in legal parlance) knew about the situation and turned a blind eye–until you got hurt. Facebook is not your friend when you’re pursuing litigation in a slip and fall case. Don’t share photos of your injuries or status updates about your injuries. By doing so, you’re sharing valuable information with the other side–the opposing attorney or adjuster will definitely mine your social media profile for sensitive intel. And on the flip side? Don’t post about your beach vacation or share your latest time on Runkeeper, either. In fact, if you’ve been considering going dark on social media, now is the time to do it. An adjuster may call you up and want to know how badly you’re injured. You don’t have to answer! Simply tell them you won’t speak until you have consulted with your attorney. After all, your attorney has your best interests at heart–an adjuster is probably trying to get you to say you aren’t injured on a recorded statement, which could later be used against you during negotiations. As long as you don’t upload them to social media, it’s fine to document your injuries. In fact, you definitely should do this. Also, start a journal where you document how the incident is affecting you, and don’t overlook non physical symptoms such as anxiety, depression, stress, fear, loss of memory, appetite or concentration, flashbacks, PTSD and sleepiness. Note the dates–even if you think you’ll remember, things might get hazy after a few months pass. Easier said than done, you think? Actually, this step is easy. Just pick up the phone, call the office and see if the lawyer answers the phone. It’s as simple as that. You want an advocate you’ll be able to reach, who answers and returns calls, who respects you and values your time. I always answer my phone, and if for some reason I can’t get to it when it rings, I make a point to call back quickly. You’ll never get shunted from extension to extension or have to navigate auto-answer machines at Shamieh Law. Tell your doctor everything! That journal you’re keeping will come in handy for this next point. Basically, the bulk of the evidence in your case will come from medical records and bills that detail your injury, recovery, treatment costs and needs for future care. That evidence determines the size of your settlement, so it’s best to be very thorough. Tell any medical professional you see about your pain–be very descriptive–so they can document the impact your injury has on your daily life in your medical records. Be honest when dealing with doctors, and don’t hide any parts of your medical record from your team at Shamieh Law. If you have a history of injury to the same area, a history of counseling (including for drug or alcohol dependence), tell us first–because the opposing side WILL dig that information up. If we know about your medical history, we can preserve your credibility and get your biggest settlement. How long can it take for your case to be settled so you can file suit? Up to a year. If a lawsuit is filed, you may be in for another two to three year wait before your case is resolved. Frustrating, yes, but as long as you know what to expect, you can go into the process with less impatience–which is easier for you and your lawyer. In lawyer-speak, you’re entitled to damages–both economic and non-economic, Economic damages basically means money for expenses like doctor bills, lost wages and property loss. Non-economic damages are still money, but they’re given for expenses that can’t be determined as objectively: pain and suffering, disfigurement, loss of enjoyment, blindness and more are all non-economic damages. We’ll push to get your the money you’re entitled to and aggressively explore all avenues to make sure justice is done. If you’ve been injured due to someone else’s negligence, don’t wait. You only have a year in Louisiana and two years in Texas before you lose your right to recover damages through filing a lawsuit. This statute of limitations varies from state to state. If you live in Texas, and if there was an orange cone anywhere near where you fell, you may be out of luck. That’s thanks to Austin v. Kroger Texas, L.P., No. 14-0216 (Tex. June 12, 2015), the prevailing Supreme Court case. 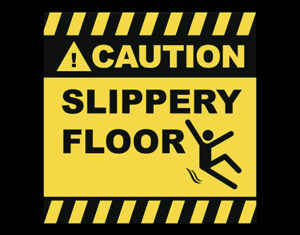 Slip and fall accidents are no joking matter. They can be very costly, painful and traumatic. If a another person or business’ recklessness caused your fall, a lawsuit may be the only way to recover medical expenses, lost wages, or money to compensate for your pain and suffering. If you adhere to these 10 important points, you’ll go a long way toward proving your injuries, assigning blame and getting justice. The best thing to do following slip and fall accidents is to speak with an attorney with a proven track record of success. The experienced attorneys at Shamieh Law know how to handle insurance companies and their lawyers. We will give you the best chance to get the compensation you deserve. 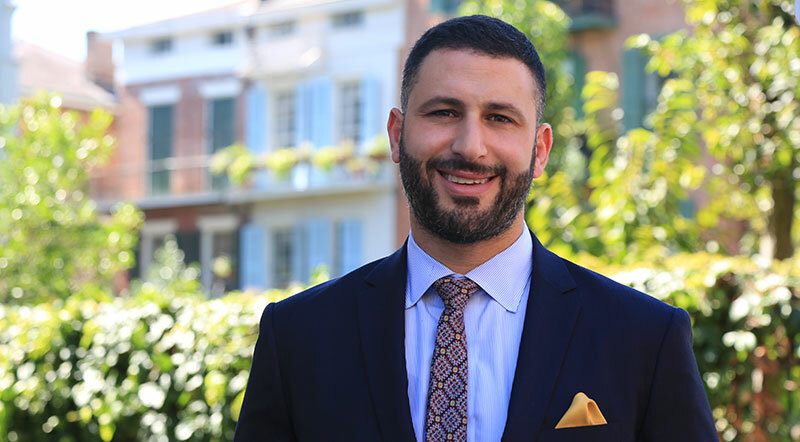 Whether you’re dealing with slip and fall accidents, wrongful death, workplace accident or a product defect, Shamieh Law has a proven track record of winning million-dollar, and multi-million dollar judgments & verdicts.